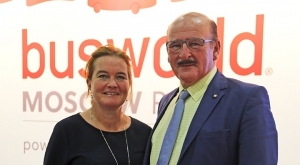 The EBUS Award 2019 for electric bus manufacturers goes to… VDL Bus & Coach. The prize has been delivered yesterday at ElekBu exhibition in Berlin. Alzo ZF and Heliox were awarded for electric drive and charging infrastructure respectively, while KVB Cologne received two EBUS Award. 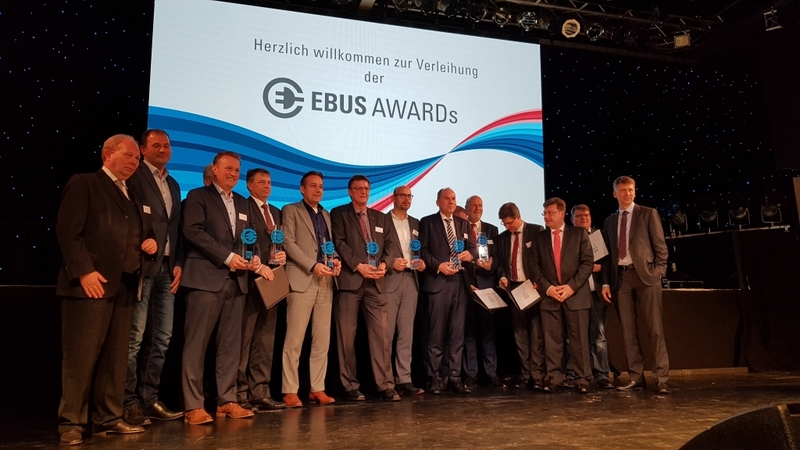 The EBUS Award, one of the most important German environmental awards for the public transport industry, is presented every two years to companies that have made a substantial contribution to the development of electric public transport in Germany. VDL Bus & Coach won the prize in the category ‘Manufacturer of e-buses’. 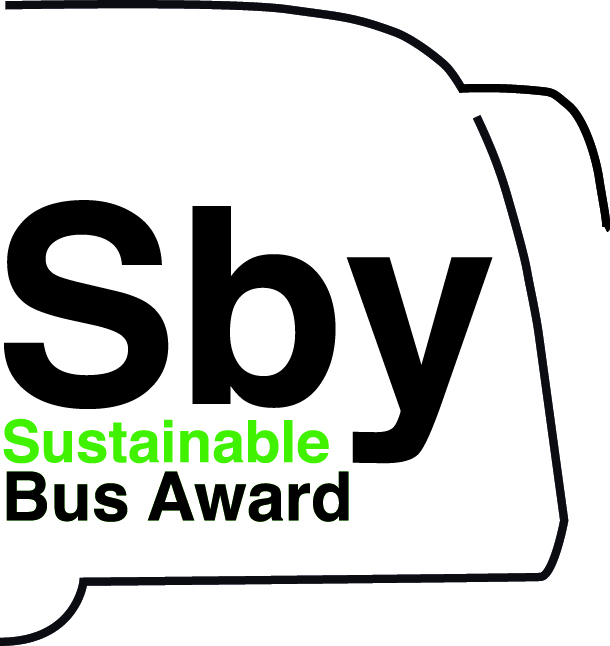 Three manufacturers were nominated in this category: VDL, Solaris and Sileo (by the way, they are the three manufacturers which took part to the Ebus Test 2018. We wrote about it HERE). 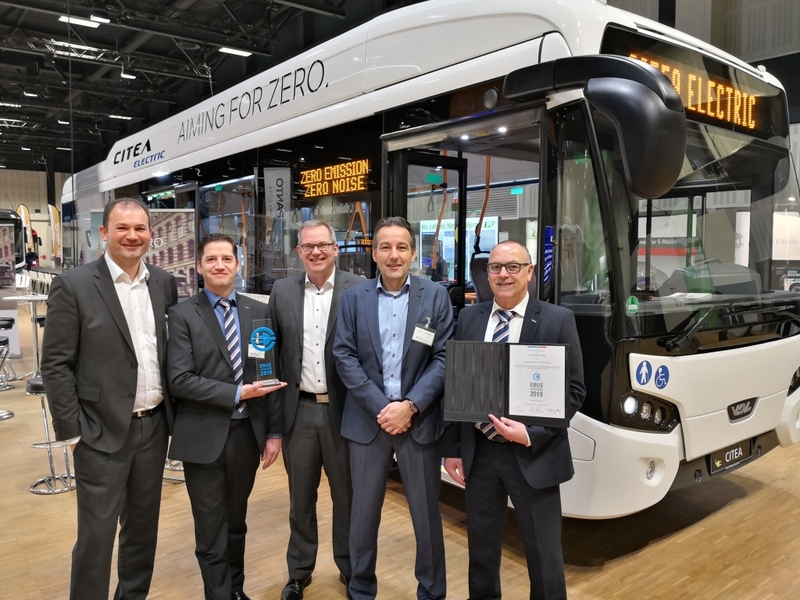 Following tradition, the presentation ceremony was held on the eve of the VDV (Association of German Transport Companies) Conference on Electric Buses and the accompanying trade fair ElekBu. The winners of the EBUS Awards, VDL explains in a press release, are chosen by public transport companies participating in the VDV Conference. According to the insight by Interact Analysis, VDL has been the market leader 2018 in the field of electric buses in Europe above 6 ton (excluding trolleybuses). 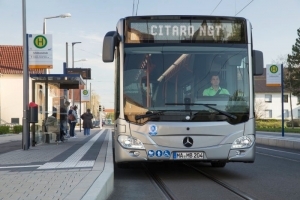 The Dutch company «spurred on by strong domestic demand, nearly doubled the number of electric buses it delivered in 2018 compared to the previous year», Interact Analysis’ researcher Rueben Scriven pointed out. 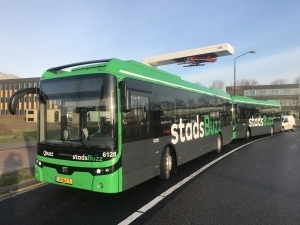 Let’s take a couple of examples: the 43 electric buses supplied in Eindhoven in 2017 and the 100 buses delivered to Connexxion (Transdev) in 2018 for the routes around Schipol airport. Anyway, VDL is closely followed by Solaris: the two manufacturers have a market share of 15 and 14% respectively. 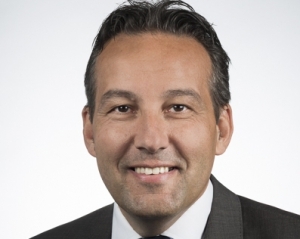 Boris Höltermann, Managing Director VDL Bus & Coach Deutschland GmbH, said, “German public transport companies have chosen VDL Bus & Coach as the best manufacturer due in part to the high operational availability. 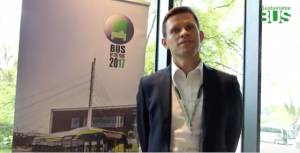 Jochen Flasbarth, German State Secretary at the Federal Ministry for the Environment, Nature Conservation and Nuclear Safety, said, “The winners of the EBUS Awards 2019 have clearly shown that dedication and passion for electric buses are paying off. 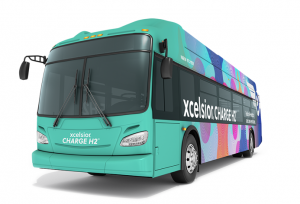 ZF‘s AxTrax AVE electric portal axle (adopted by Solaris and Mercedes) was honoured with the 2019 EBUS Award in the category “Drives for Battery Buses” (contenders were Siemens and Ziehl Abegg) and Heliox ranked first in “Charging infrastructure”, winning on Ekoenergetyka (that last year won a tender for 62 charging stations in Paris), ABB and Schaltbau. KVB Cologne received two prizes: the public transport company was aknowledged for the conversion of line 133 to electricity, realized from 2016. 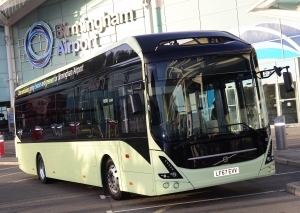 Eight battery-powered buses (made by VDL) are in daily use, and a tender for 53 further electric buses in underway. 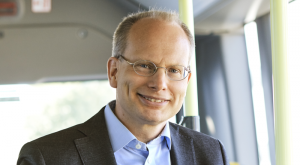 And Jörn Schwarze, Chief Technology Officer at KVB, received an EBUS Award for “Personality E-Mobility in Public Transport”.